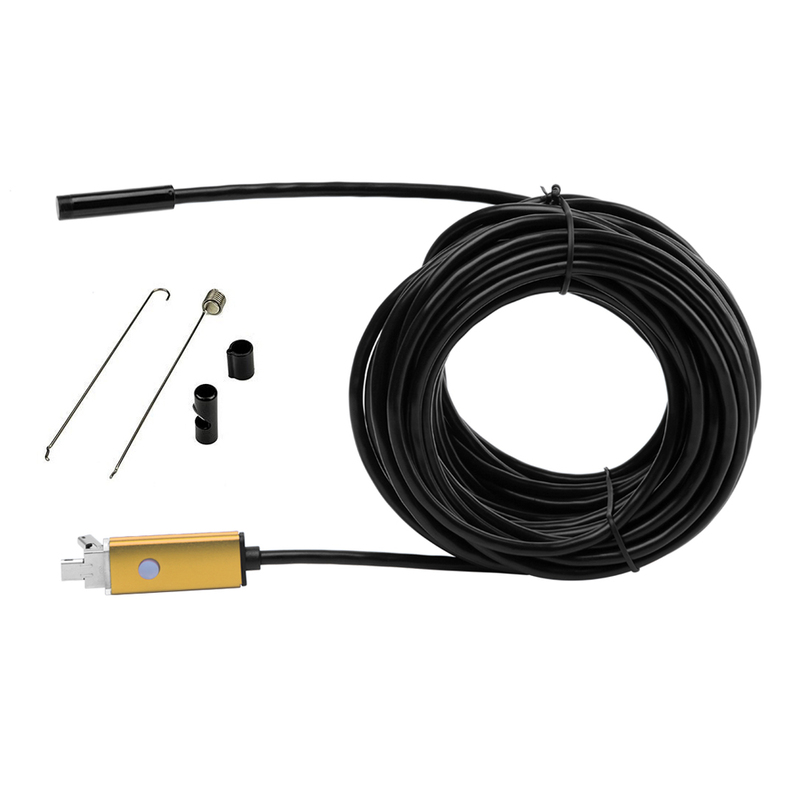 This mini endoscope is practical which is easy to see where normal camera can not reach. 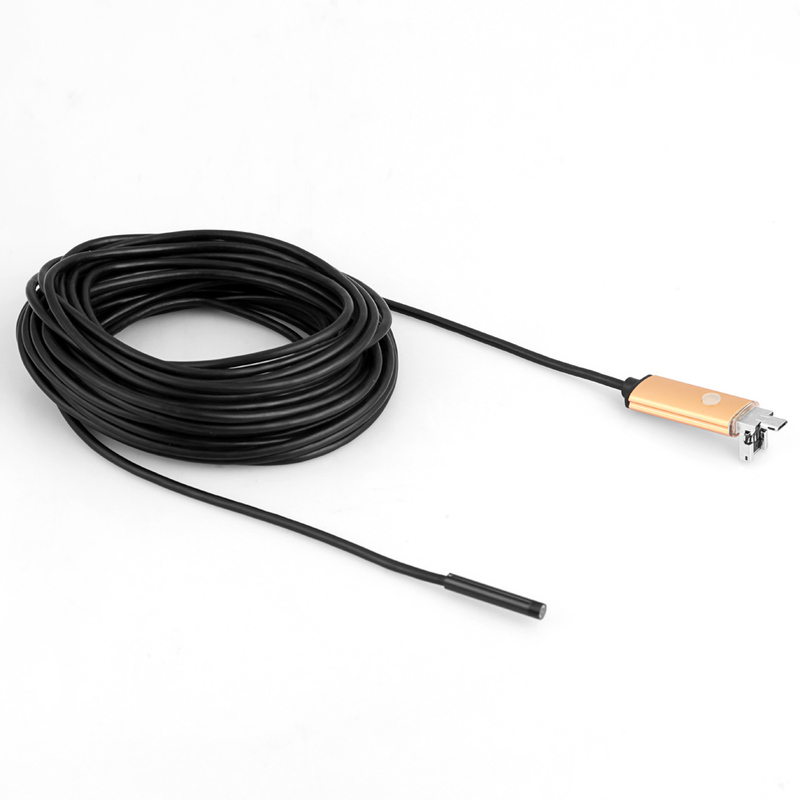 With a long USB cable, easy to connect with PC and phones, convenient to use. 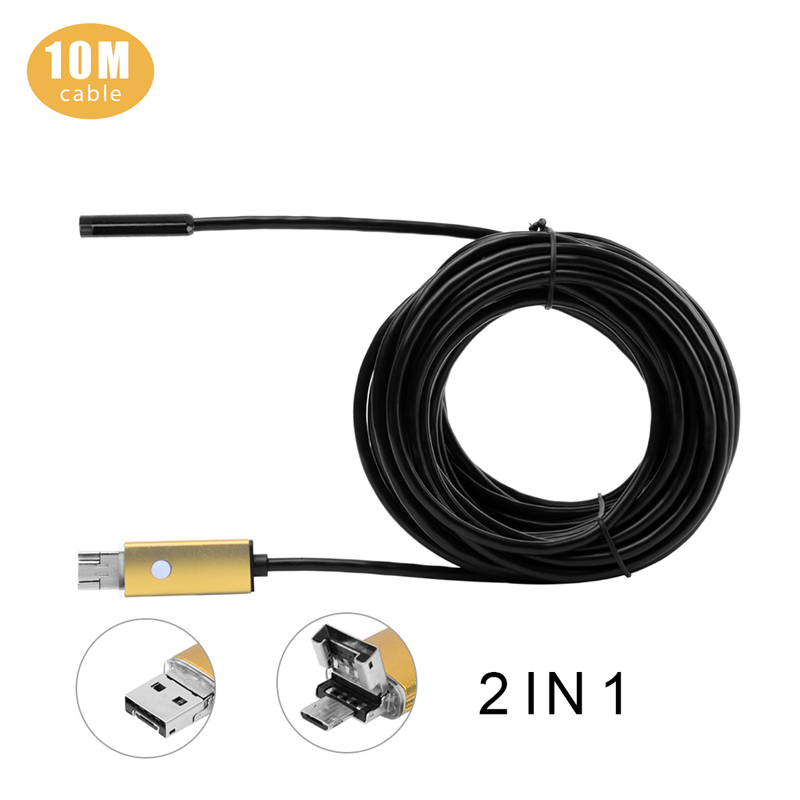 This 2 in 1 USB endoscope can directly connect with smart phone or computer, convenient to use. 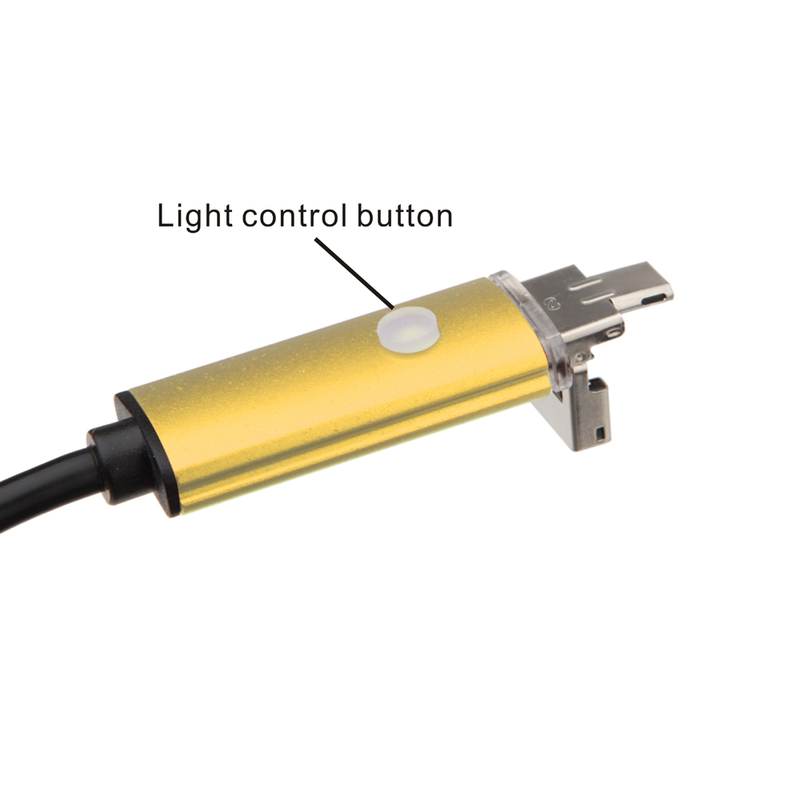 8mm camera is small enough which is perfect for inspecting pipes and equipments, small parts assembly, viewing places where normal camera hard to reach. Through the specialized APP, you can easily capture pictures and videos with your phone or computer. With high resolution, you can watch clear live video on your computer or smart phone. 6 built-in LED lights, press light control button and turn lights on when using at night or dark corner. Water resistant, it can be used for underwater viewing. Come with mirror, hook and magnet to meet special needs. 3 colors for your choice. The smart phone should have OTG and UVC function. 1. Start the APP. Click "File"- "set capture file" to choose a folder to store the video and give a name for the video. 2. Click capture icon to start video capture, click it again to stop. 3. Open the folder to check the video.